Merry Christmas everyone! I hope you are all having a wonderful holiday! 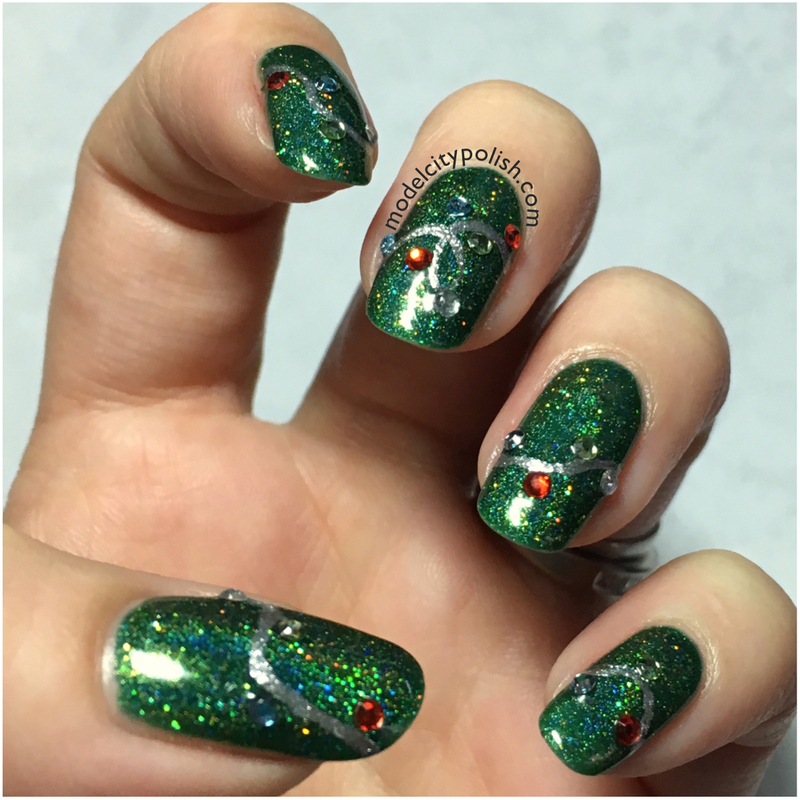 Today I have the last day for the 12 Days of Christmas Nail Art Challenge. 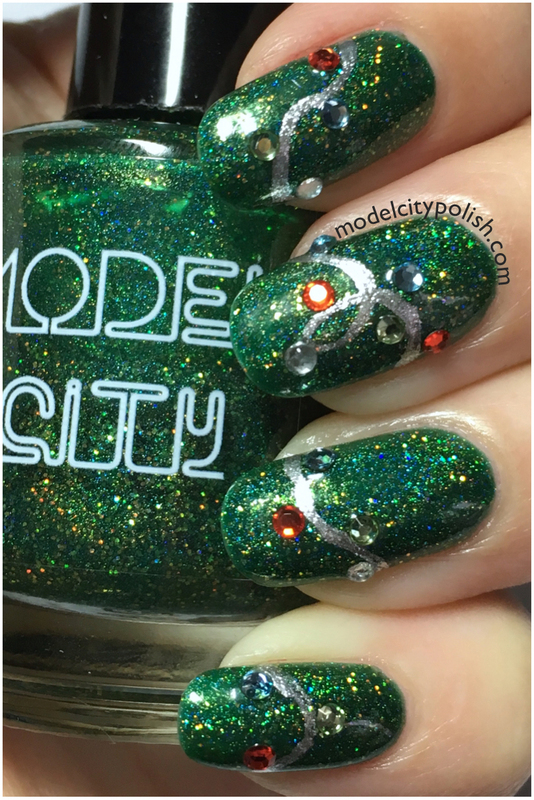 Today’s challenge was freestyle or recreate someone’s mani and I decided to go freestyle, I have the perfect piece for inspiration and couldn’t pass it up. 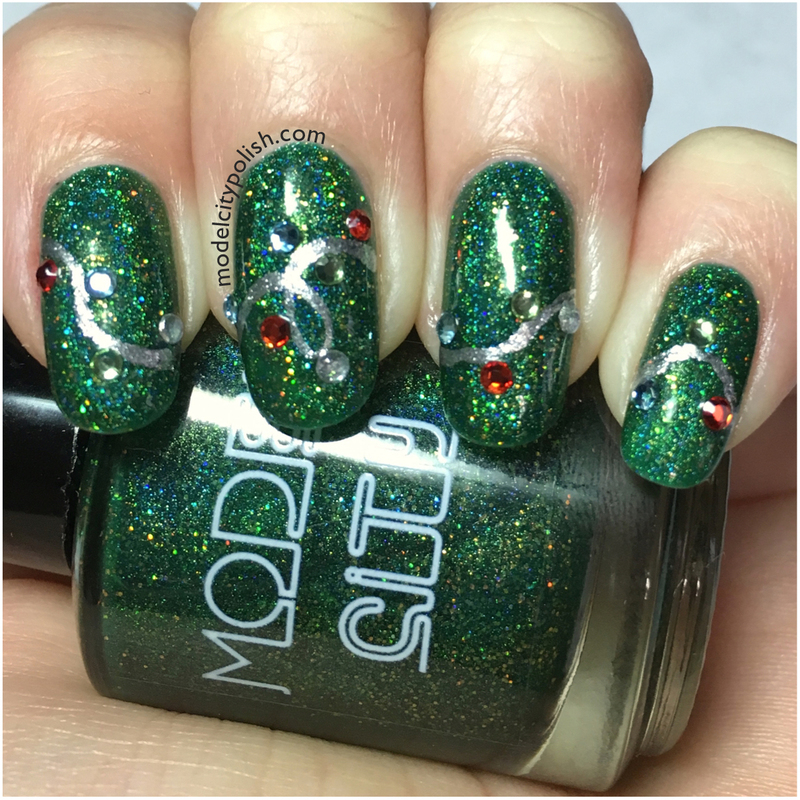 For my official Christmas mani I used my latest piece from Paper + Plastick for inspiration. Isn’t he the cutest?! Now for the nails! 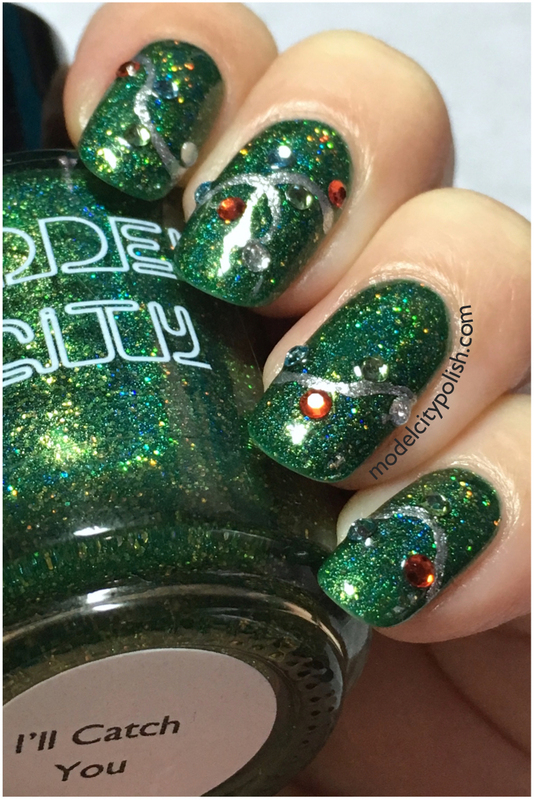 I started off with two coats of I’ll Catch You from Model City Polish. I then used Bond, Jail Bond from Bonita to create my “wiring” and Swarovski crystals to create the bulbs for my nails. For top coat I went with my trusty SuperChic Lacquer Liquid Macro Top Coat.